…the Man of Steel and his big green mate The Hulk. 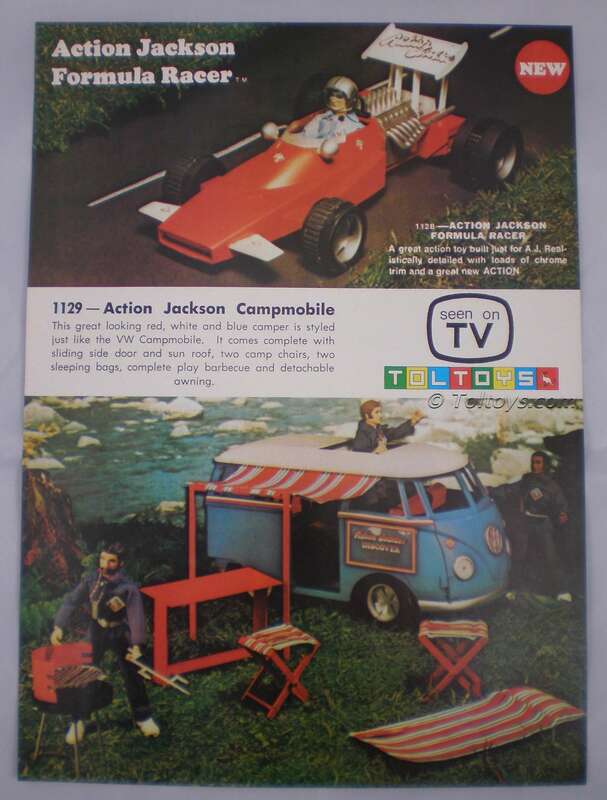 Yes sitting there among the no-name brand trikes, bikes and ray-guns were the beautifully crafted 12-inch MEGO World’s Greatest Super Heroes. 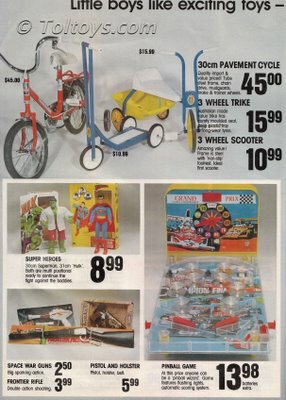 Interestingly the Superman is the harder to find “Comic Head” version, previously thought to have only seen release in Canada, the UK, France and Italy according to the authoritative Mego Museum. 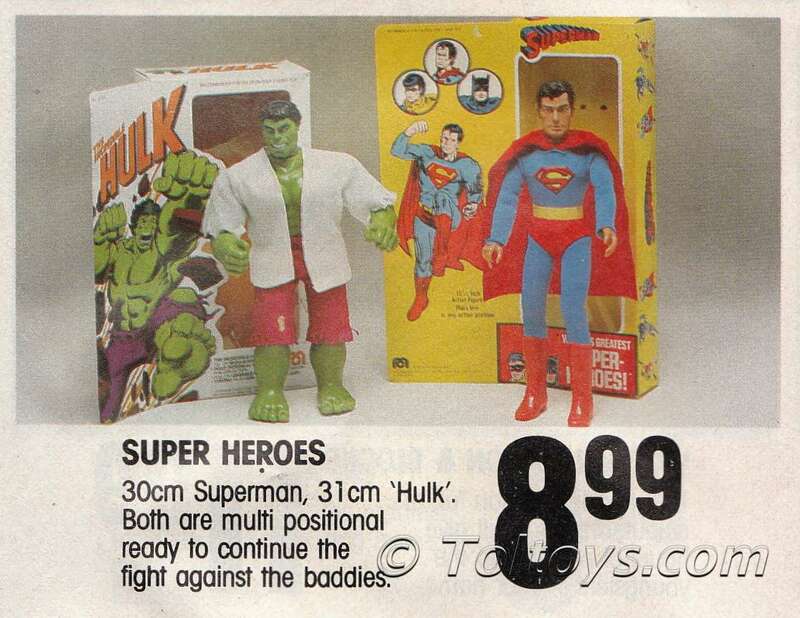 Hulk appears to be a regular US version. 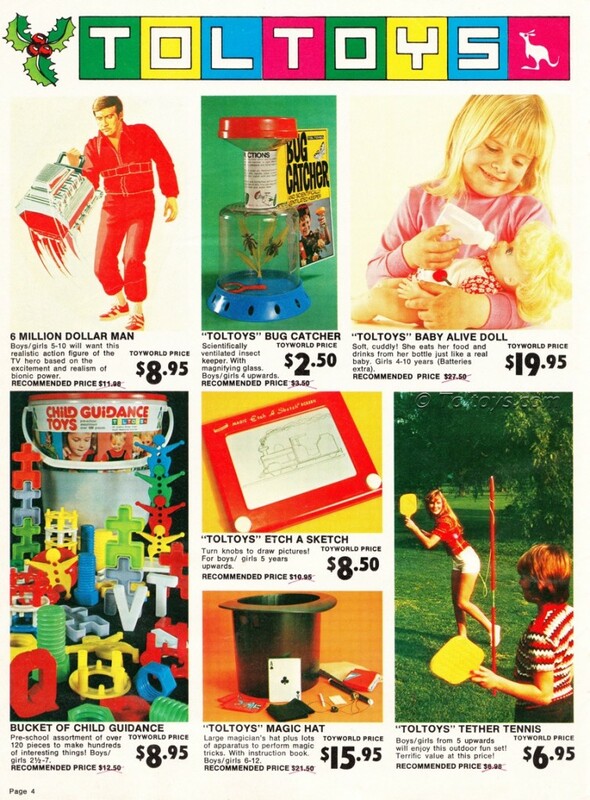 Dig that lab coat! 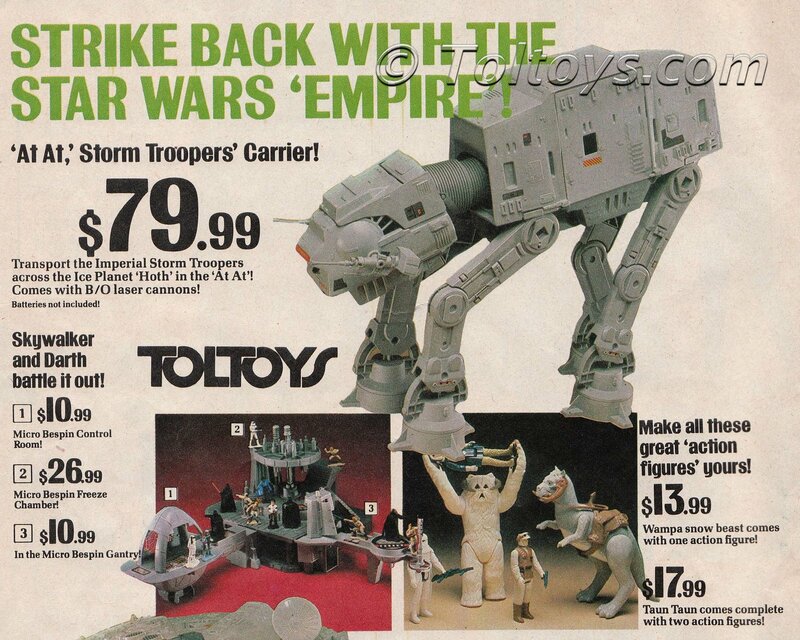 No telling if there were other Heroes available on the Safeway shelves “ready to continue the fight against the baddies” back then, but we can only hope so. 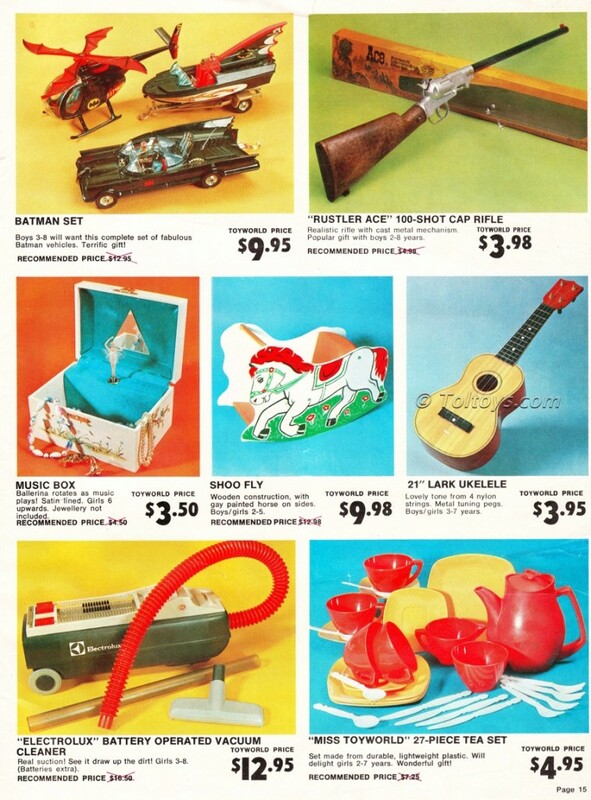 Did you buy your super heroes in Australia at Safeway? 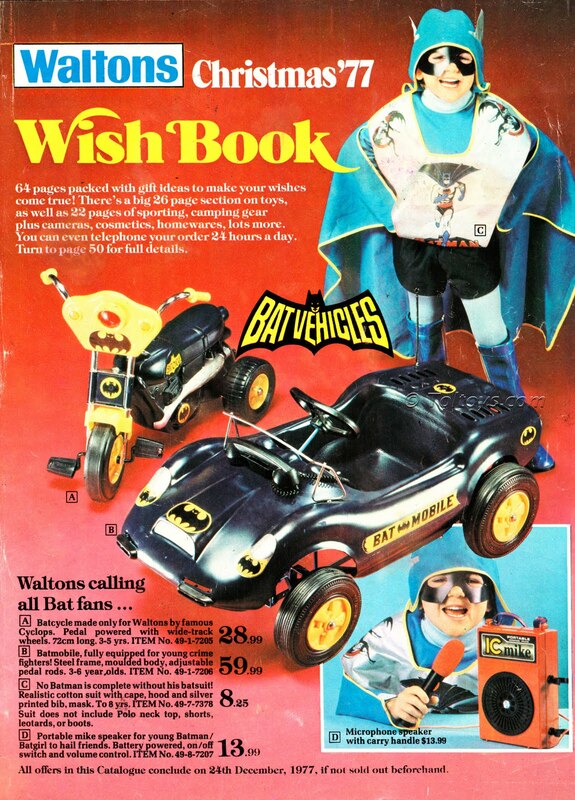 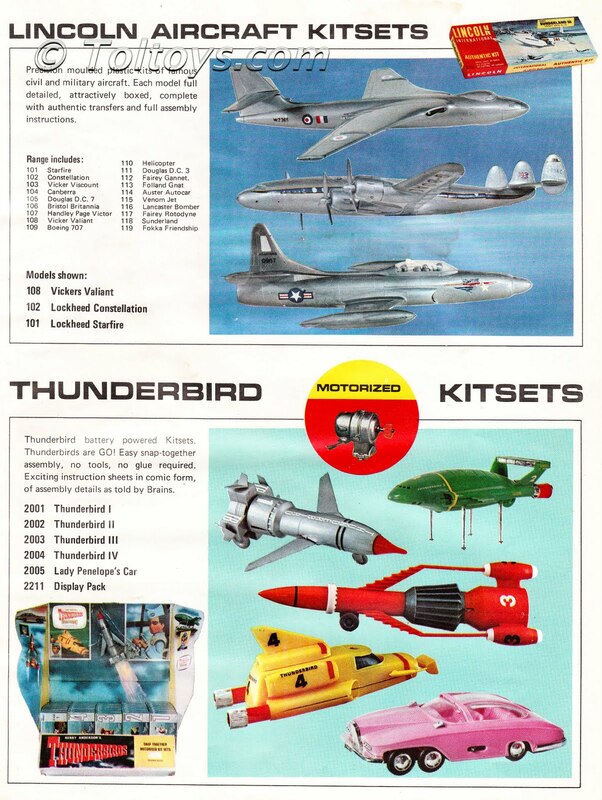 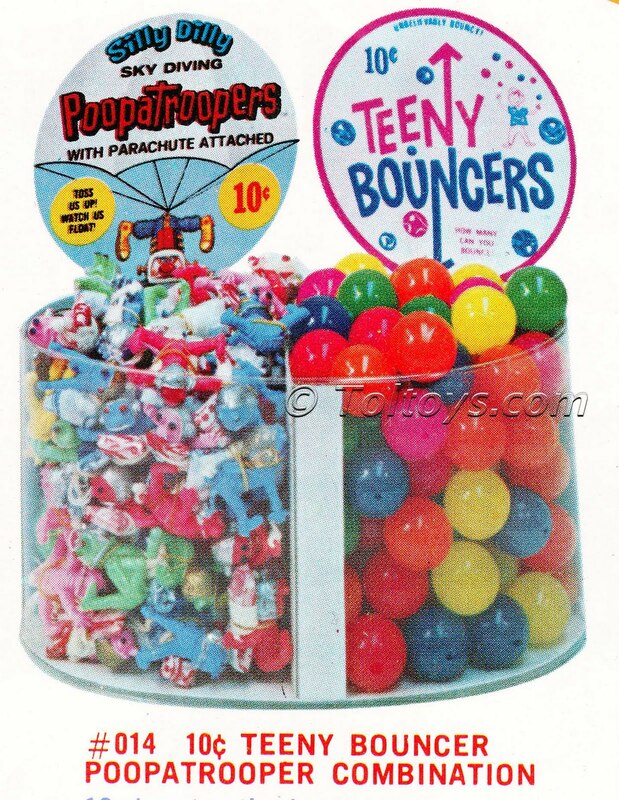 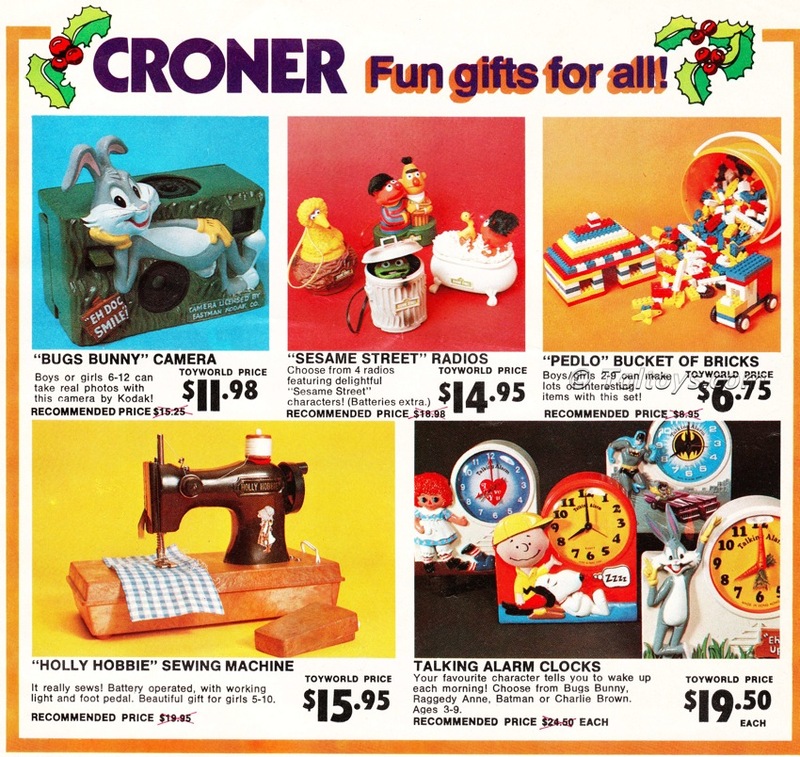 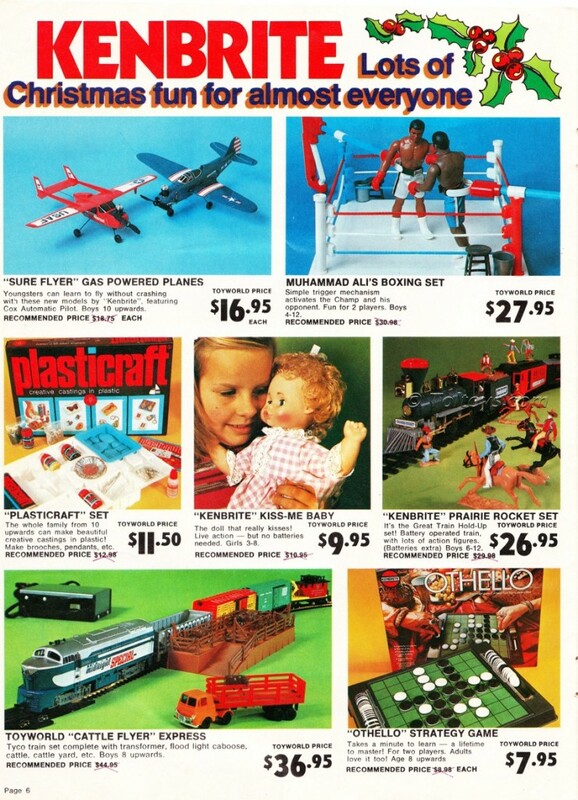 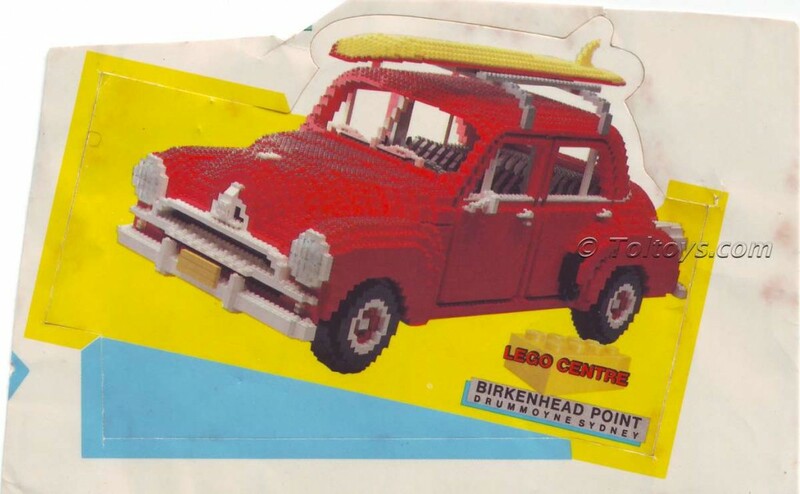 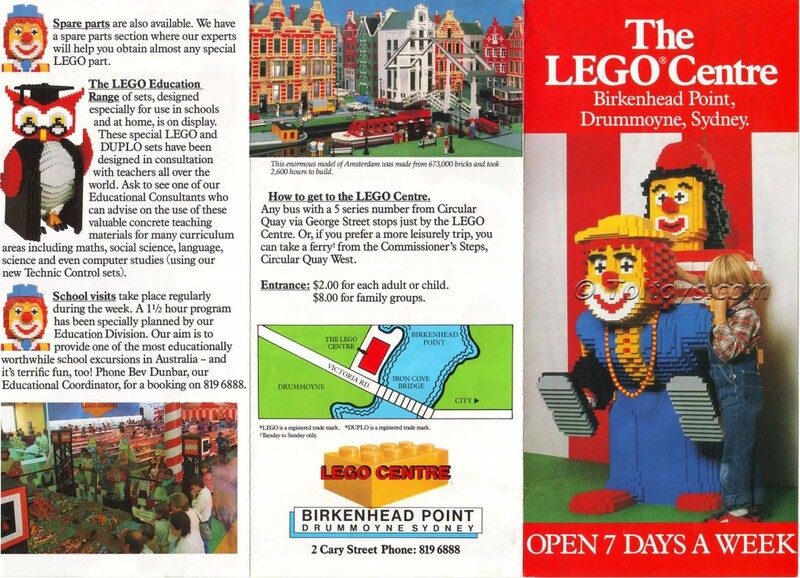 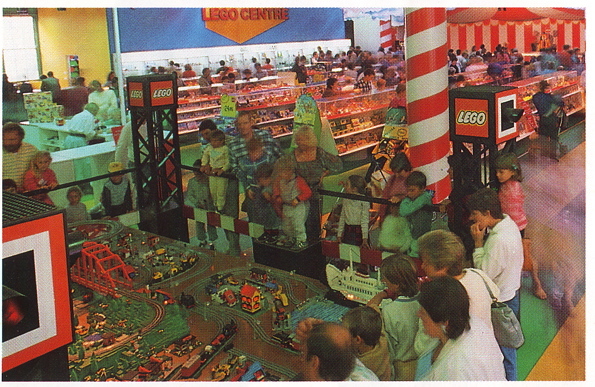 $60 was a lot for a toy in 1982, hell it’s a lot for a toy today. 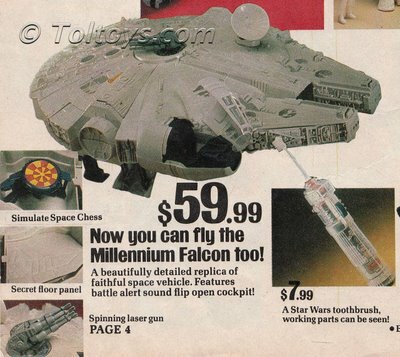 Just as well then that you received one of the all-time great play-sets for your cash back in ’82, the Kenner Millennium Falcon. Walton’s caption writers went off the deep end in this one, declaring the Falcon to be ‘faithful’, as opposed to all those other lousy cheating spacecraft one presumes. Dig the “Simulate Space Chess” – is the simulate really necessary? 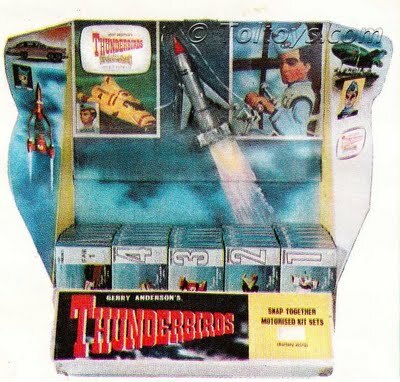 I mean even slow Darren from down the road gets that we’re not actually playing real space chess here. 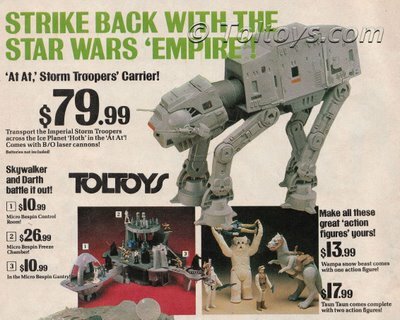 The keen-eyed among you will have already noticed the uber-cool Empire Strikes Back Electric Toothbrush labeled as a Star Wars one, a tough item to locate for collectors today. 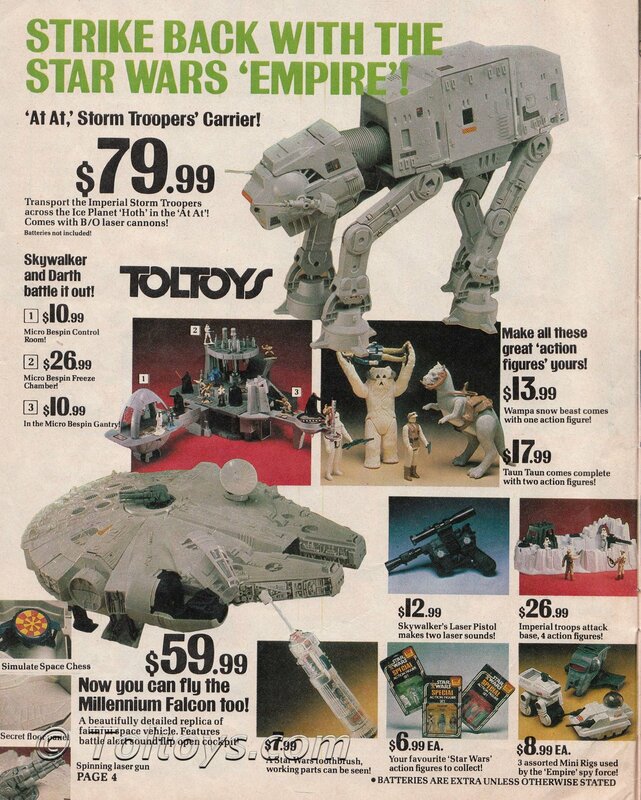 They were one of the earliest Star Wars toys so it’s good to see them still around in 1982. 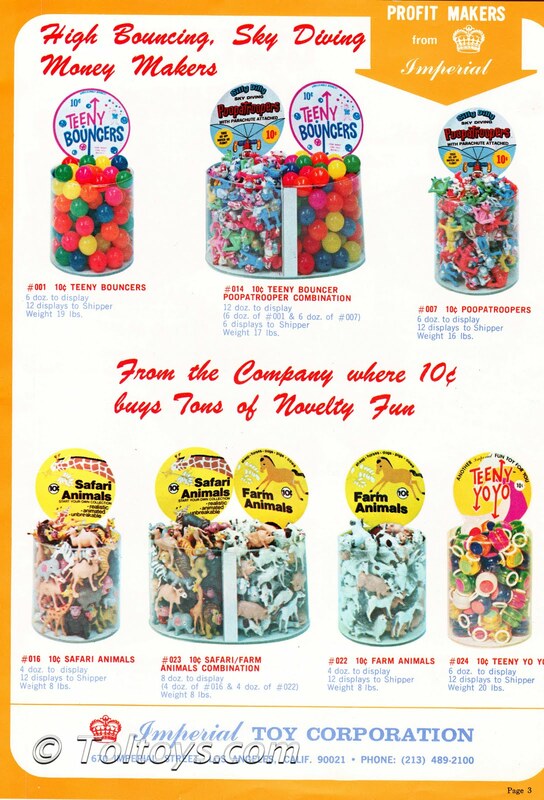 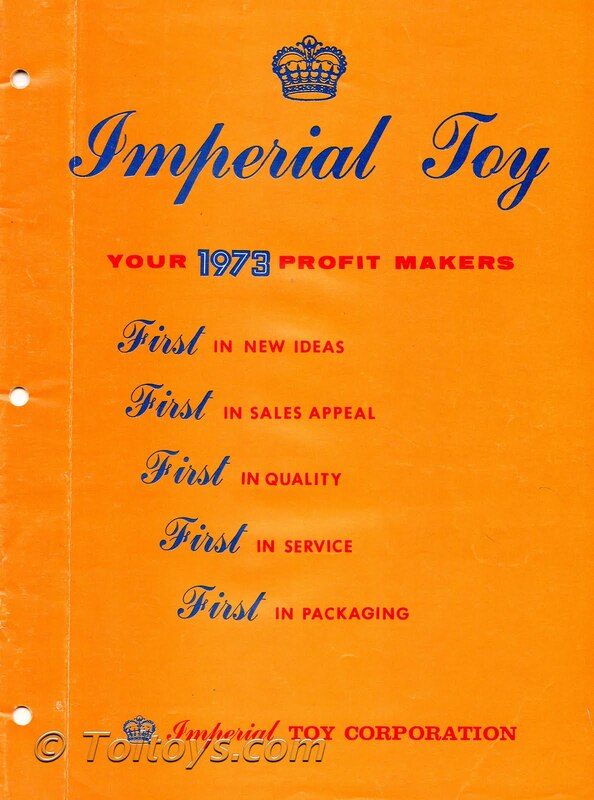 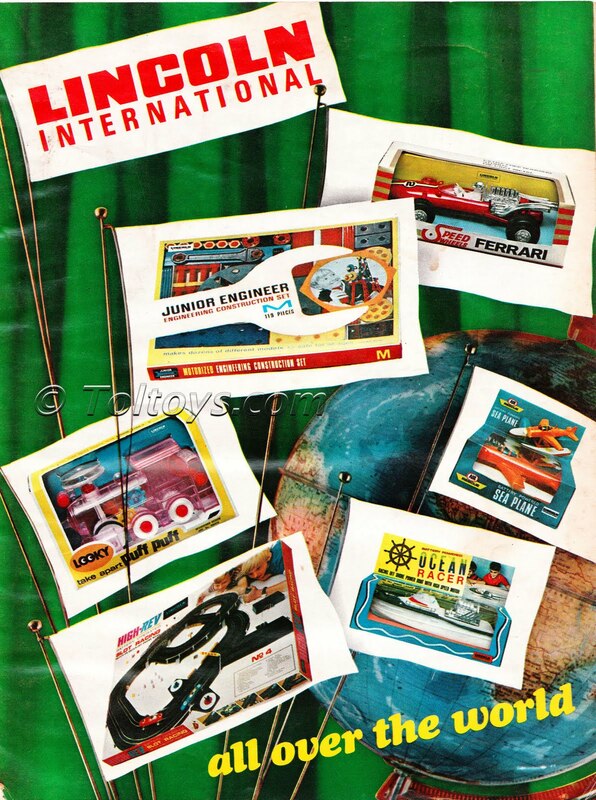 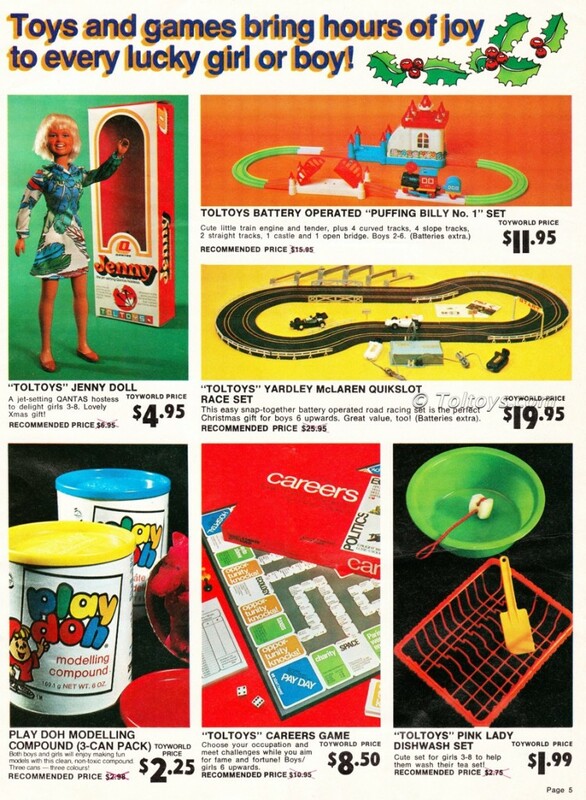 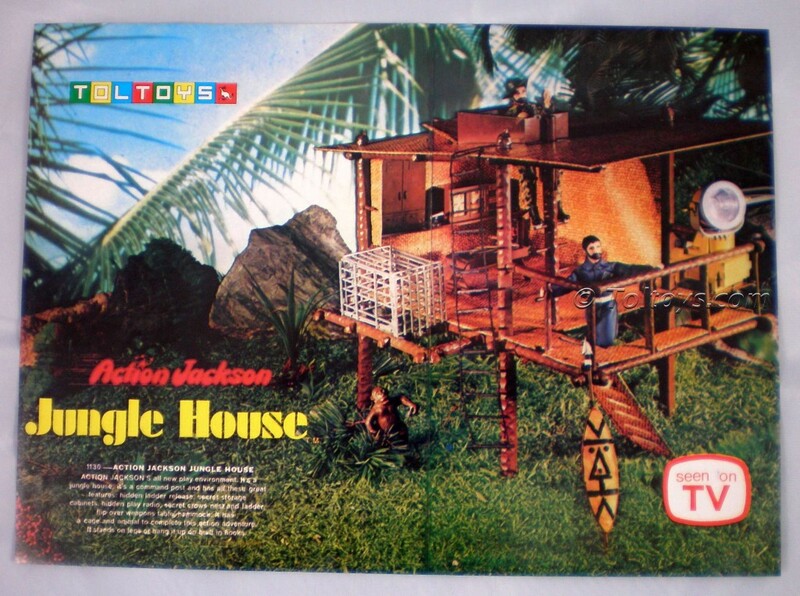 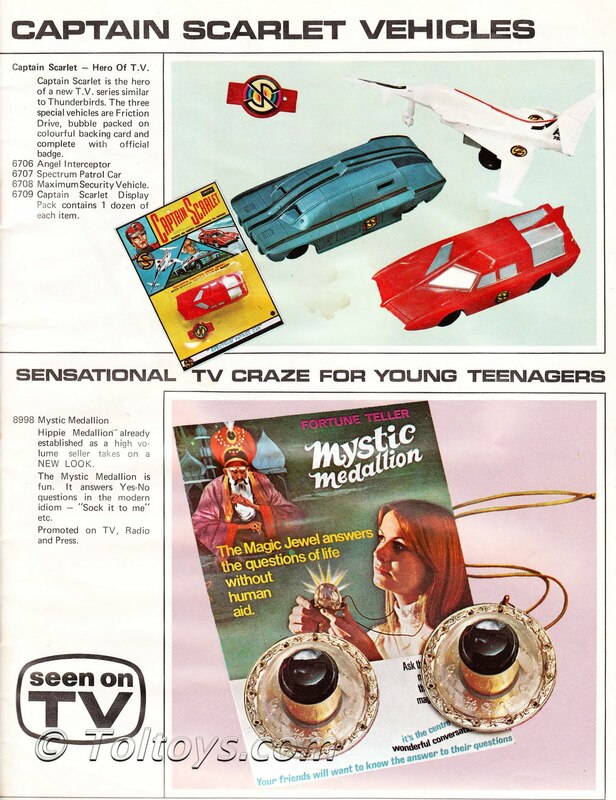 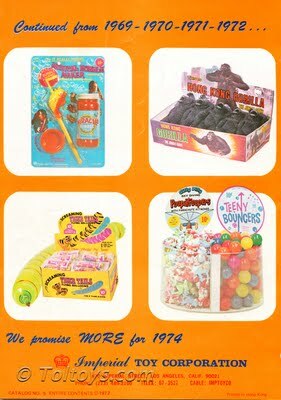 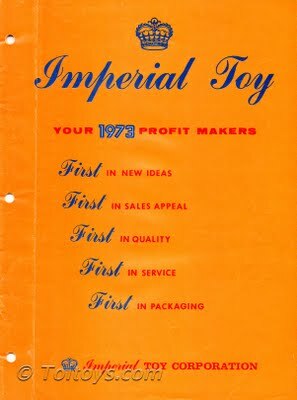 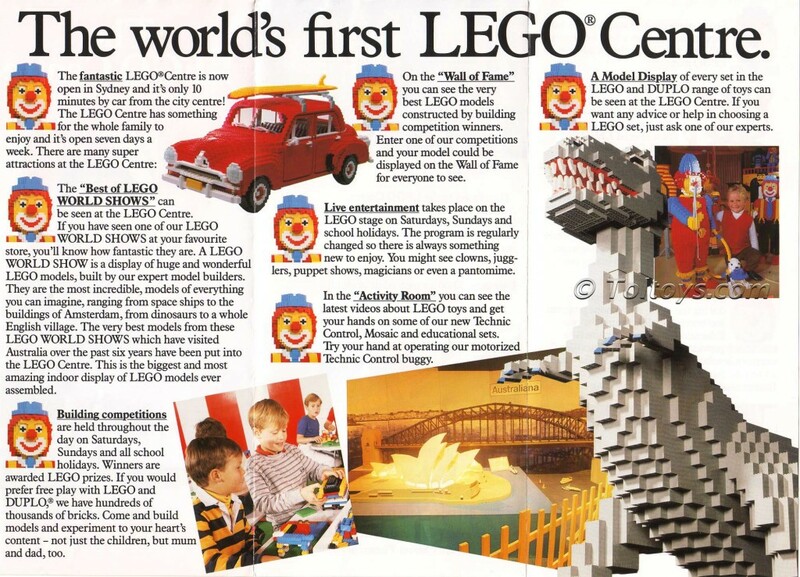 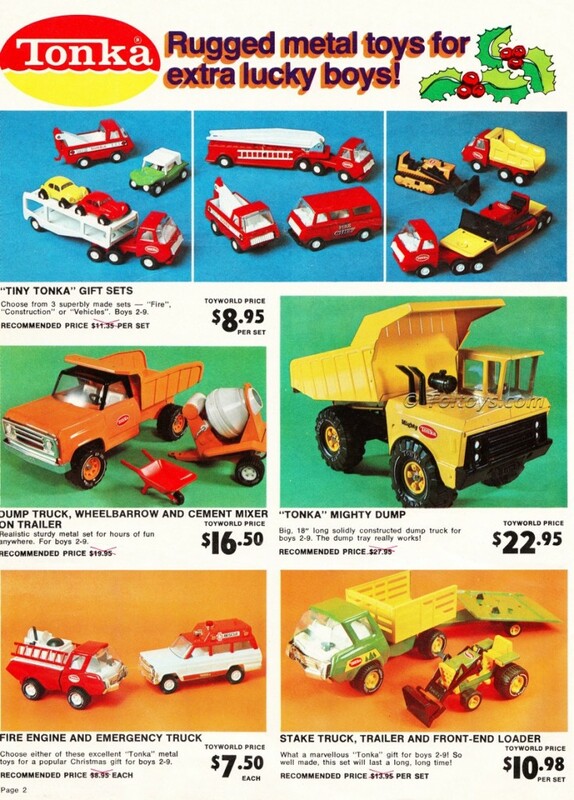 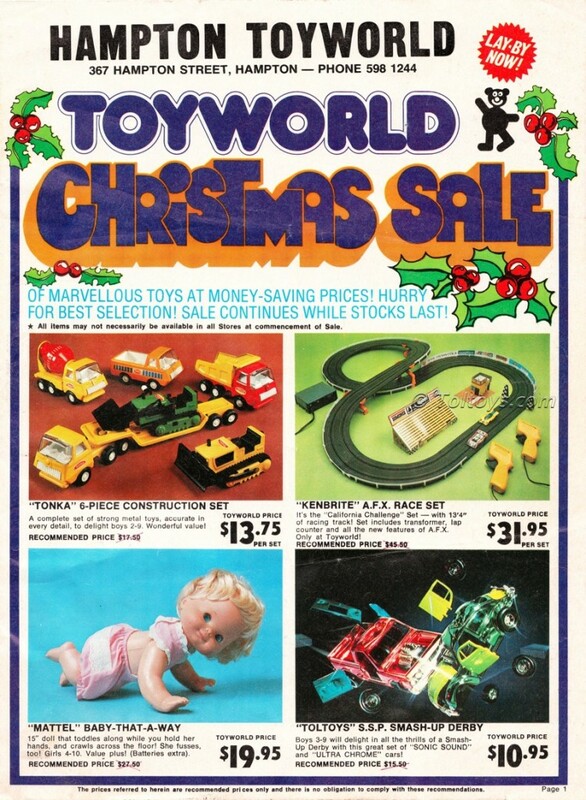 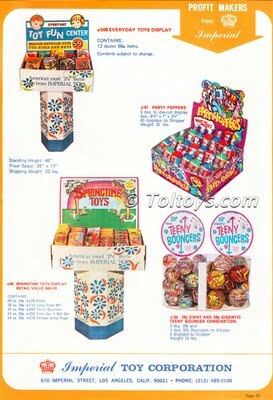 Finally we have the whole page on show, and what a treasure trove it has proved to be, solving the mysteries of the not one but three Toltoys Special Offer items, and throwing in rare ads for 3-Packs and ESB Toothbrushes just for fun. 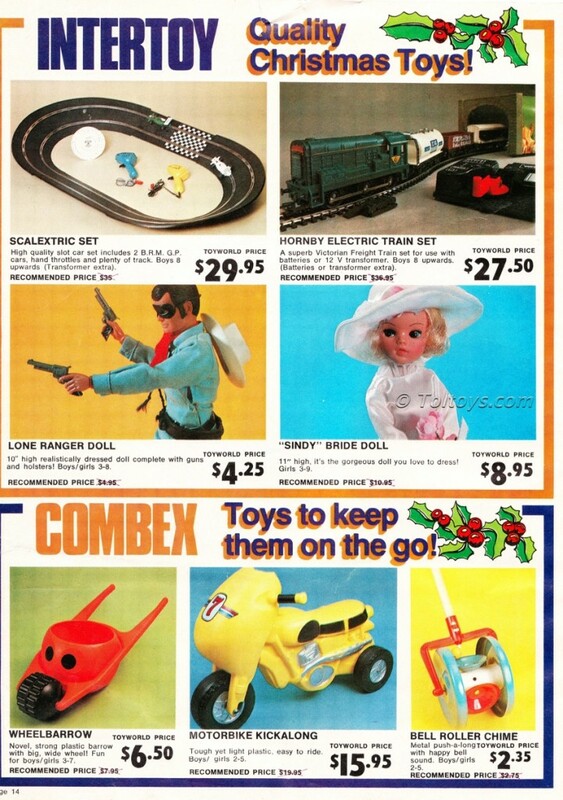 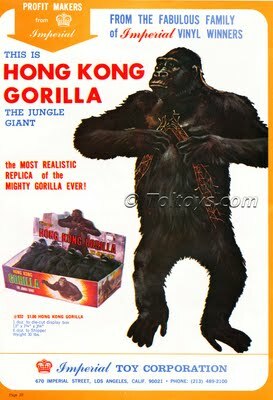 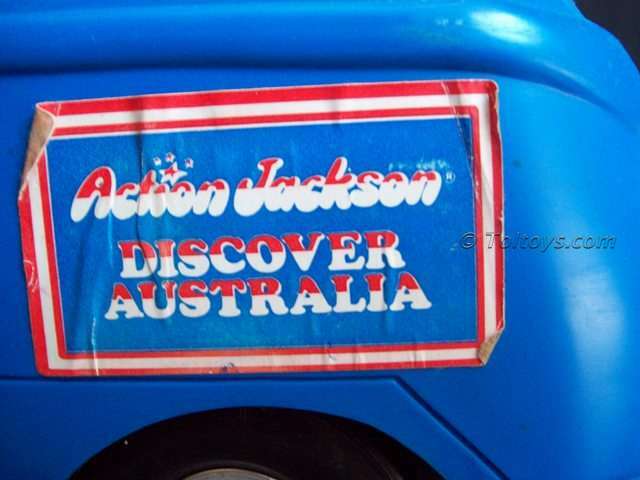 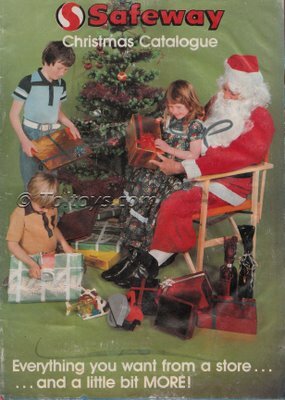 I’ll be continuing the Wishbook posts soon, but stay tuned for some other vintage toy coolness this week.